Popping the question is an exciting time, but once you share the news with all of your family and friends the real fun of wedding planning comes. Many brides take charge of planning, but the groom still has a lot of responsibility on his plate, especially if you want to mitigate some of your bride’s stress. Keep reading for a timeline of wedding planning for the groom! A year out from the wedding you will need to communicate with your bride to choose where you are having the ceremony and reception. In addition to that, you will also need to organize your bridal party. That means asking your groomsmen and Best Man if they would be willing to stand up in the wedding. You will also want to make your wedding registry with your bride, so be sure to voice your opinion if you’d really like a nice set of pint glasses or new grilling gear for hosting summer BBQs. About 9 months out from the wedding you will need to book your “talent” and this includes everything from a priest, rabbi or justice of the peace, to the DJ or band. When booking vendors, it’s always a good idea to get some references and meet with a few before making a final decision. At this point, you will also need to work up the guest list so you can send Save the Dates out. Work with your fiancé—and maybe even your parents—to determine what family and friends are going to be included. When you are half a year out from the wedding, it’s time to plan the honeymoon. This should fall on you, with a bit of your fiancé’s input. Are you going to the Caribbean? Hawaii? Europe? Decide on a location and duration together and then get to planning! At this point, you will also want to arrange for transportation on the wedding day. Whether you want a limousine or to rent a sleek sports car for the day, six months out is the perfect time to schedule your ride. A few months before the wedding you will need to book a block of hotel rooms for out of town guests or those who don’t want to drive home after the wedding. You will also need to choose your outfit. Get some input from your bride and colors, but then get together with your groomsmen to plan an outfit that will make her jaw drop. At this point, you should also start considering what you will get your bride for a wedding gift as well as your groomsmen gifts. Weeks before the wedding you will want to schedule any haircuts, massages, teeth whitening services, and any other service you will need to look and feel your best on the big day. Other than that, aside from checking in with all the vendors, your job is to make your bride feel special and loved. Help her unstress and offer to help with any of the final details. Pick up your wedding license, write a sweet “day of” love letter to her, and get everyone organized for the big day! With The Park Savoy Estate, Planning is Easy! The good news is that The Park Savoy Estate makes wedding planning easy! Of course, you’ll still need to pick your groomsmen, attire, and the rest of the stuff on this list, but our experienced wedding coordinators and recommended vendors will help make sure the day runs smoothly from start to finish. We’ll take care of the nitty-gritty details so you can focus on marrying the love of your life! 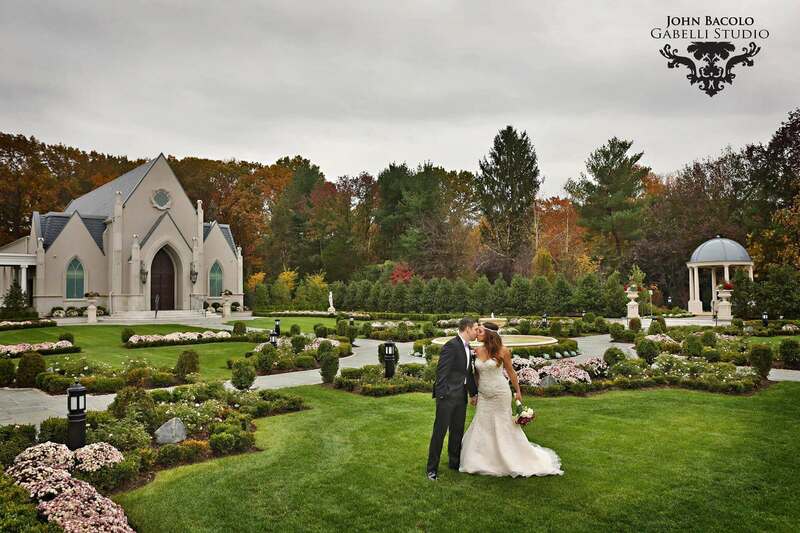 To schedule a tour or learn more about the top estate wedding venue in New Jersey, contact us today. The post Wedding Prep for the Groom – A Timeline appeared first on The Park Savoy Estate.